The original dining room of Taypark House is home to our welcoming Gin Bar Lounge. Rustic hand carved wooden shelves and stripped wooden floors are accessorised with industrial metal bar stools and clusters of comfortable leather armchairs and sofas - you’ll even find a giant pocket watch hanging from the ceiling! - it’s the perfect place to sit back, relax and admire the 150-year-old features of Taypark House. We even have the original advert for the sale of the land in 1859 scribed on the walls! For those cold, wintery days and nights, we have an original black marble fireplace with a roaring log fire to make sure everyone’s kept cost and warm as you enjoy your drink with friends and family. We also have our Gin & Fizz Garden Bar which is opened during the summer months, you can read a bit more about that below! Our friendly staff are happy to serve drinks to your table or mix you up a cocktail at the bar. We're particularly passionate about our huge range of Scottish gins, some of which are sourced only a stone’s throw away in St. Andrews and Fife. Each is perfectly complemented with a botanical tonic and garnish - embracing our Scottish heritage with a gin! If gin’s not your thing, we have a wide range of wines, fizz and spirits that'll tickle your fancy - or why not try our selection of Scottish craft beers and ciders? If you fancy something a little different, we have a delicious selection of cocktails. For the more adventurous groups, you can even pick your favourite cocktail to be served in one of our famous 4.8 litre cookie jars! We’ll bring your filled cookie jar to the table where you can pour cocktails at your leisure. Each jar serves up to seven glasses, so gather a few friends and sit back and enjoy. 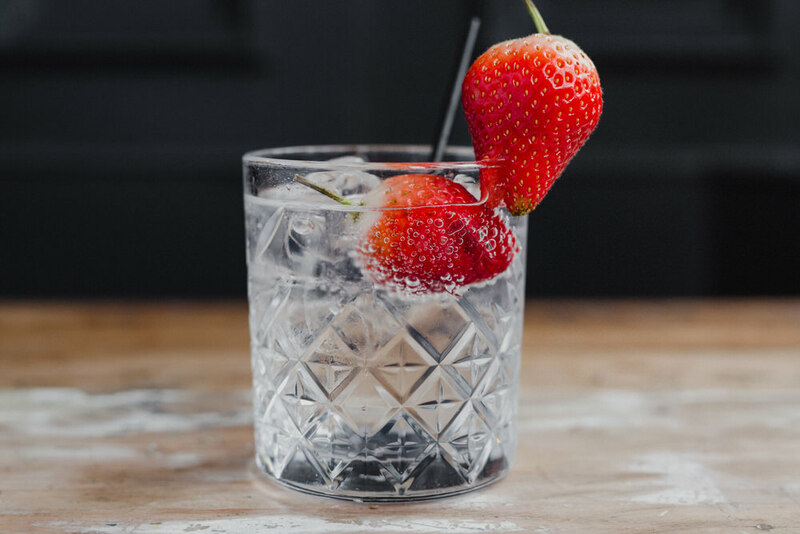 Open during the summer months (weather permitting), our Gin & Fizz Garden Bar is second home to our selection of over 50 different gins, along with plenty of ice-cold prosecco and champagne for those long summer days. Enclosed in a rustic shed - made from local timber - it’s the perfect setting for those refreshing, ice cold beverages in the warm summer weather.